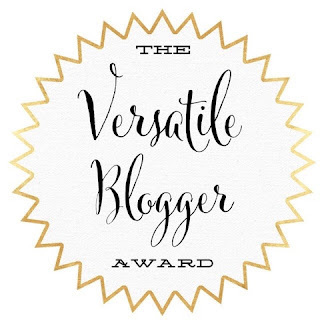 I want to say a huge thank you to Sam from Sams Life Adventures for nominating me to participate in The Versatile Blogger Awards! I had no idea what this was when Sam tweeted me but I have had a read of her post and had look through the posts with the hashtag and I’m now a little more clued up! Thank the person who nominated you – check! Share the link to their blog – check! Now that the formalities are out of the way, here are 7 facts about me! 1. I have only ever had 2 pets in my entire life. My mum and dad always refused to get me a pet as a child, so my grandparents got me my first pet – a Russian hamster called Pepsi. His life was very short as my parents kept him in the garage and to this day I’m still not convinced he was actually dead when they buried him, I’m sure he was just hibernating. Anyway, I now have a black cat called Munchkin. He’s the cutest, fluffiness thing and he’s very very loving. 2. I support a team in pretty much every sport going. Football – Shrewsbury Town and Arsenal. Rugby – Harlequins and England. American Football – Dallas Cowboys. Formula 1 – Lewis Hamilton. You get the gist! 3. Along the sporting lines – I HATE cricket. With a passion. I don’t understand it and I find it incredibly dull! I can see why so much alcohol is consumed at cricketing events! 4. I have an 18 month old son. He is my entire world and is the most amazing child a parent could wish for. 6. I’m really really untidy! If you came into my house you might mistake it for a war zone – a clean war zone, but a war zone nonetheless! So there you have it. 7 facts about me. Now for my nominations! I’m really looking forward to readin some more posts by The Versatile Blogger Award nominees! I hope you’ve enjoyed reading post and have learned something you didn’t know about me!